I'm sure that most of you are aware of the latest Vivo X5 pro smartphone. It's usually played during the cinema commercials, where the phone kinda launches from one end to another slitting several objects along the way. No doubt the idea was meant for it to be slim but do you it's actually quite the specs as well? 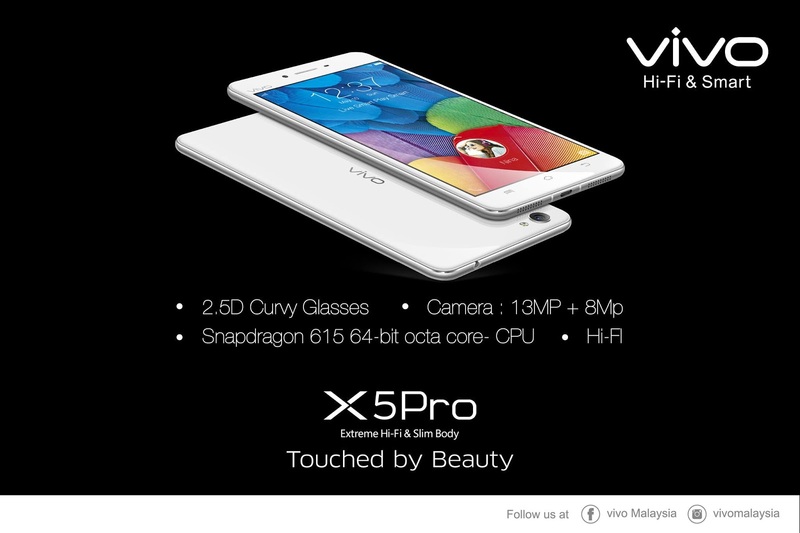 The Vivo X5 Pro features a 5.2 inch SUPER AMOLED 1080p display,similar to those by Samsung high-end phones. The 2.5D screen that Vivo claims it to be is curved at the edge, making it smooth and seamless. That way, you'll get more depth and immersion towards what you're watching, whether it is movies or Youtube, you'll definitely be entertained. It also comes with a Snapdragon 615 64-bit Octa core processor clocked at 1.5Ghz. The new processor will enable all the latest applications and games to run smoothly. The Vivo X5 Pro also comes pre-installed with the latest Funtouch OS 3.0 and supports up to 4G LTE. Protection is key right? 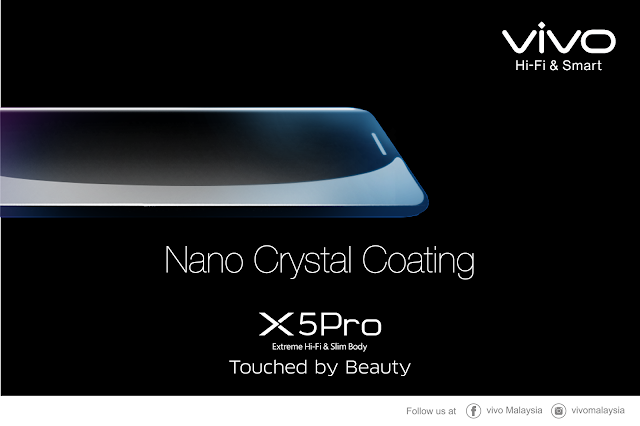 With Vivo's latest nano crystal coating, the Vivo X5 Pro display is more durable, lightweight and beautiful. With such a great display, how is possible to forget about the camera? 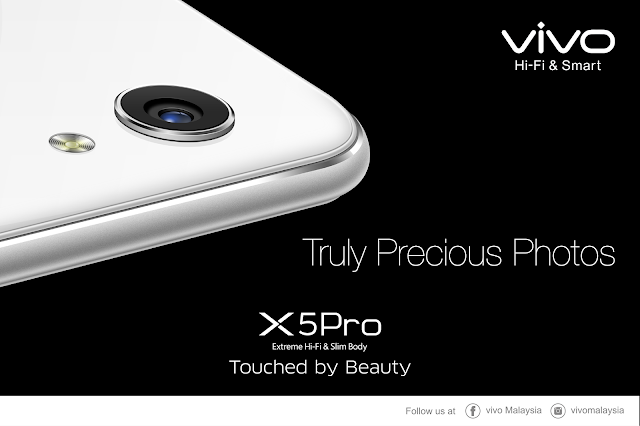 Thankfully, the Vivo X5 Pro comes with a 13-mp HD rear camera and 8-mp front camera that is guaranteed to take amazing photos! 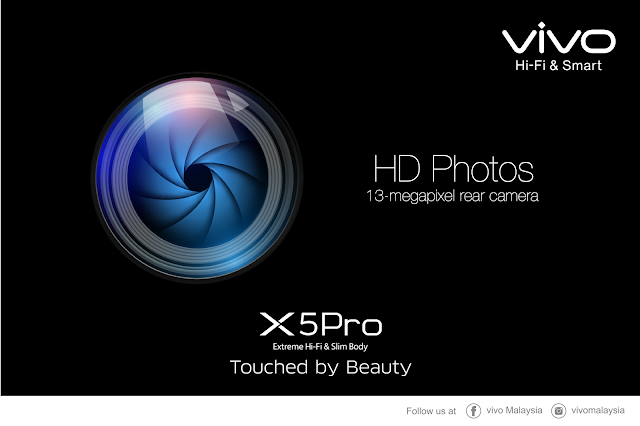 The camera also includes several built-in features such as the beauty mode, palm mode and phase-detection auto focus. Simple, sharp and truly elegant. The silver beading around the edge of the camera truly gives it the character from the back. It also matches the overall outlook of the X5 Pro. 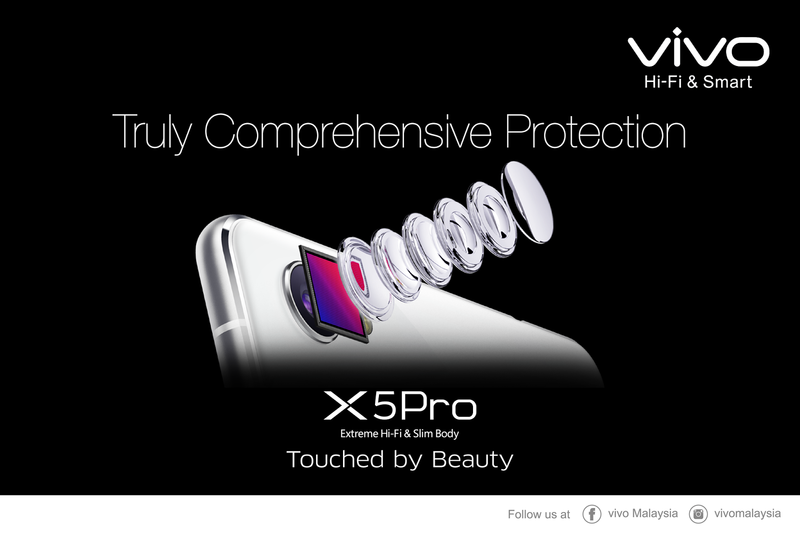 For added protection, the Vivo X5 Pro comes with sapphire glass lens which is stronger and more durable than regular glass. Making it scratch resistant and allowing sharper and brighter photos to be taken. 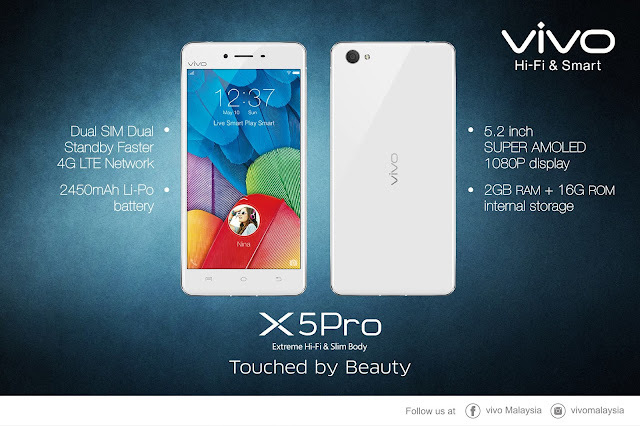 The Vivo X5 Pro also comes with a great built-in Hi-Fi system that ensures crisp and crystal clear audio quality. But what good is it when the phone battery doesn't last? 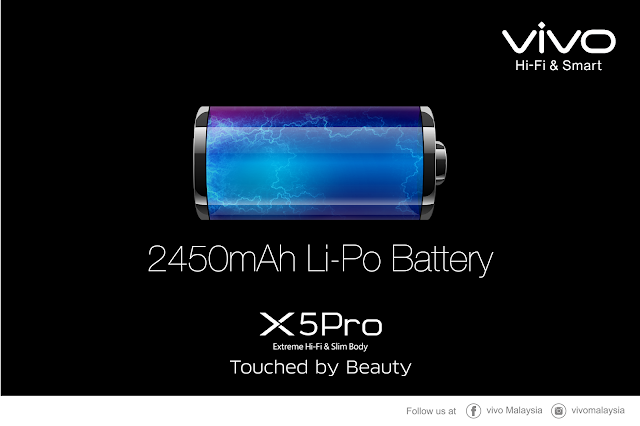 Fortunately, the Vivo X5 Pro comes with a 2450mAh Li-Po Battery to counter-balance all their features, enabling a good 10-12 hours battery life. really nice phone. is there a higher range model than this one?